Just know from the start that it wasn't supposed to go like this. All we wanted was to get near them. That's why we got a room in the hotel where they were staying. From thrilling new talent Goldy Moldavsky comes a pitch-black, hilarious take on fandom and the badass girls who have the power to make-or break-the people we call "celebrities." Moldavsky's debut is a dark-humored, tongue-in-cheek novel with elements of noir. Teenagers Isabel, Apple, Erin, and an unnamed narrator have an intense friendship formed around their shared adoration of a British boy band, the Ruperts. Proud to call themselves "Strepurs" (Ruperts spelled backward), they follow the boys everywhere, hoping to catch a glimpse of them, even reserving a hotel room where they are staying. There, the girls come "to be in possession of very own boy bander," when Apple tackles a Rupert (the "Ugly One") on her way to get ice, knocks him out cold, and drags him into their room. 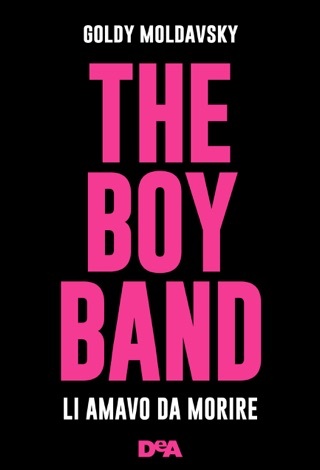 References to fanfiction and "feels" place the story firmly in the present, though boy band mania is far from a new phenomenon. A late revelation throws the circumstances into a different light, yet sympathizing with the protagonists isn't really the point. The story's strength is in its bitingly satirical look at the extremes of fandom and how reality can be an unwelcome intrusion into carefully constructed fantasy worlds. Ages 14 up. This book is one of my favorites by far. I keeps you on your toes and has a vast amount of character development. Definitely recommend you read it seriously get the book. 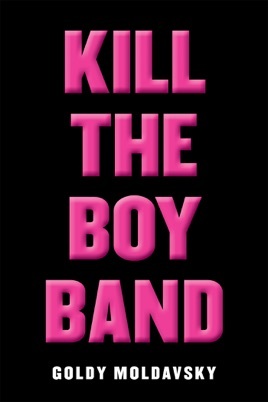 Kill The Boy Band, is interesting and entertaining. It kind of reminded me of the Jawbreakers Scenario. If you’ve never seen this movie, It came out awhile ago. So you have four girls who decide they want to get a room in a hotel, the same hotel that The Ruperts are staying in. The hottest boy band of today. Some of the girls have a plan and well others have no idea what’s going to happen. Fangirls are different type of creatures. Now if only these types of Fangirls spent the amount of energy they did, stalking boybands, with something else. They would really be going places. Everything in this book, had it’s twists and its turns. Left you wondering at some point, is this real? is this in her head? Whats going on?! I think that this was a pretty brilliant story. It took you into the craziness that are fans. I’ve witnessed fans doing crazy things and I wonder how most celebs deal with this sort of crazy. I can say I’ve never really gone this far, I probably wouldn’t know what the heck to say to someone I was a super fan of. Needless to say. The author really brought this story to a whole new level. This wasn’t the best book I’ve read but I enjoyed it. It was different, not like something I’ve read before.